Sam & Ben are spending Christmas with their families in Peru. Join them in the festivities, and learn how Latin American cultures celebrate this holiday. The Sam & Ben series of books are bilingual stories. Written in English with Spanish vocabulary - to introduce the Spanish language to beginners. I'm a writer whose articles have appeared in Bermuda Parent magazine, Inspire Women magazine, Yum for Kids and Bumples on-line magazine for children. I've also previously written for the Royal Gazette, Bermuda Homes & Gardens and Bermuda Business magazine. I'm the co-author of the Sam & Ben series of bi-lingual books. 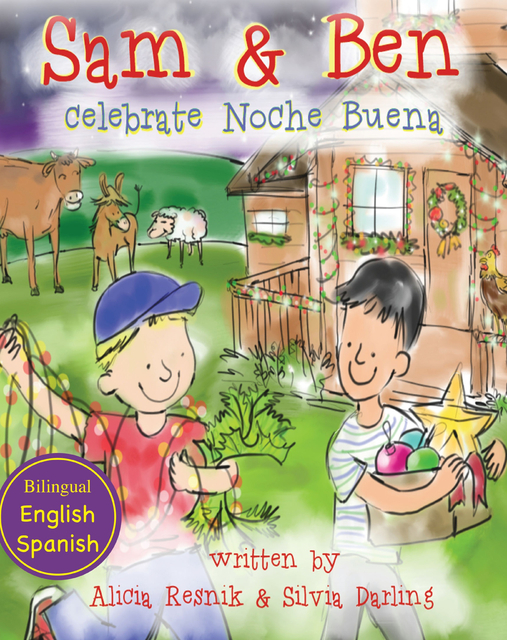 These books include: Sam & Ben on the Farm, and Sam & Ben celebrate Noche Buena.